Cape Town - Kaizer Chiefs coach Steve Komphela says the club are in the market for a striker following the club's 1-0 Telkom Knockout semi-final defeat to Bidvest Wits. Amakhosi missed a number of good chances, with Dumisani Zuma and Gustavo Paez particularly guilty of spurning a number of openings in the loss at Milpark on Saturday. 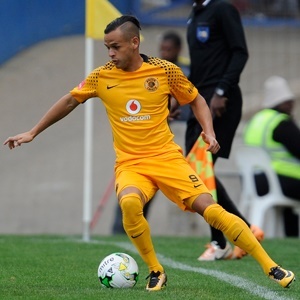 Thus far this season, Paez is the club's leading scorer with just three goals to his name as Amakhosi's struggles in front of goal have been well documented. As such, Komphela expressed his frustration with the situation and admitted that his side has to find a prolific goalscorer in attack. He told reporters: "Listen‚ strikers are strikers. We could have had the best striker on the day‚ but if it's not your day‚ it's not. Missing chances like these (the ones missed by Paez and Zuma)‚ happens. "But if you ask me 'if there is an opportunity for us to get another striker'‚ yes there is. "With Zuma and Paez I thought we could at least have got an equaliser. Zuma had a one-on-one twice. Peaz as well had his fair share. All these are excuses and excuses. But if you ask 'did we have an opportunity to equalise'‚ yes we did." Chiefs are back in action in the Premiership on Wednesday when they take on AmaZulu at the King Goodwill Zwelithini Stadium in Durban. The action gets underway from 19:30.